For those who have followed the blog for a while, you know that I am a fan of the Strategies for Teaching based on Autism Research (STAR). Today, in our returning series of examining alternative curricula, I wanted to tell you why I like the STAR (and some things I’ve done to make it work for me). First, for those who are unfamiliar with it, let me tell you what the STAR is. 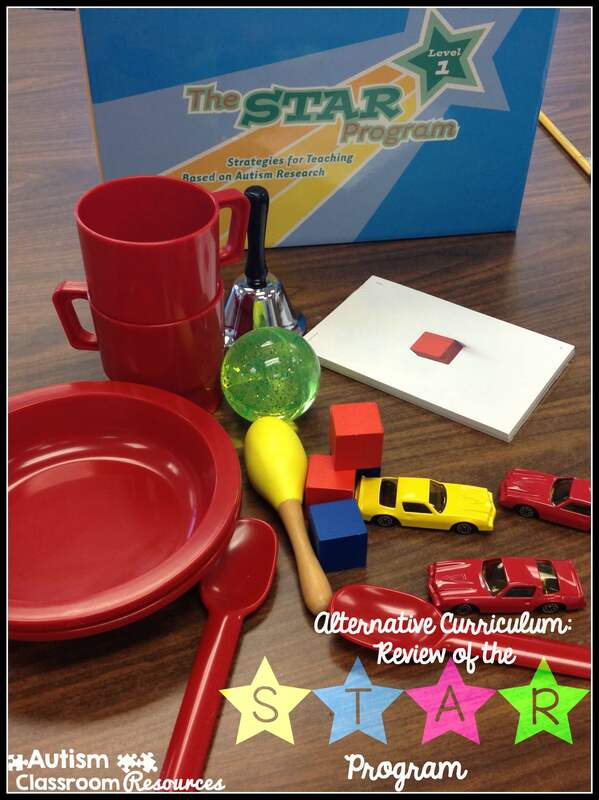 The STAR is a curriculum designed for students with autism in the primary grades. As with most things in special education, it is very effective for students with other disabilities but it is designed for autism. It uses 3 basic ABA-based teaching strategies: Discrete trial training (DTT), Pivotal Response Training (PRT), and Functional Routines (basically using task analyses of common activities). These are all evidence-based instructional strategies. 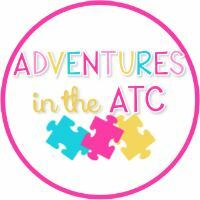 I’ve talked about DTT in the series on effective ABA strategies and the one of the next strategies in that series I will talk about is PRT. Let me add that all the STAR materials I have ever used were purchased either by me or the program I was working with and nothing has been given or promised to me for this review. I genuinely like the STAR and recommend it all the time and want to share the good and the problems with it as honestly as I can. For those who are not familiar with PRT, the STAR manual actually described it in a way that made sense to me as “incidental teaching on steroids.” PRT is essentially taking the technology of DTT and embedding it into natural routines in which you follow the child’s lead to build in the opportunities for presenting the direction and you always use a reinforcer that is functionally related to the task (e.g., if he points and says “outside,” he goes outside, he doesn’t get a cookie). There is more to it than that, but I will cover it in another post. Functional routines are when you take activities of the day and break them into small components in a task analysis and teach them one step at a time. Think about a handwashing routine–following the steps of turning on the water, getting the soap, etc. I discovered the STAR at a time when I was working with a preschool program for kids with autism and asked one of our behavior analysts to take all the discrete trial programs I had written and start to match them to a curriculum. At that time, the preschool program was using the Brigance as the curriculum. The Brigance is a developmental curriculum that is used as an assessment–it’s a great curriculum-based assessment that the staff gave three times a year to track progress. Unfortunately what it didn’t do for the staff was tell them how to translate the assessment items into teaching programs; that is, it didn’t point the staff in the direction of which items on the assessment were important to teach specifically and how to go about teaching them. There were no steps in the curriculum–you either have the skill or you don’t–so the teaching programs weren’t always apparent. After I asked one of our behavior analysts to do this with our discrete trial programs (that had been written as we needed them for IEPs and had holes in them in terms of what skills were included), she came into my office with a book from my bookshelf and told me that maybe we didn’t need to create this on our own because the STAR had already done it. And she was right and we adopted the STAR across all our classrooms. Since that time, I’ve used the STAR in many different classrooms and situations and I’ve even aligned products to the STAR to provide materials for more practice of the skills. Based on those experiences, let me share what I see to be the advantages and disadvantages of the STAR as a curriculum. The STAR provides the steps and sequences to know what to teach next. The STAR provides the steps and sequences to know what to teach next. You assess the student (I recommend at least 3 times a year) and you know if he mastered Level 1 Receptive Language items 1-7 which are basic learning skills, then you are ready to move on to item 8, matching picture to picture. There are 3 levels that the students move through from very basic learning readiness skills to master all the skills so it covers some basic learning skills, communication, and some preacademic and early academic skills. It includes imitation skills, which are often too early in the developmental sequence for most developmental curricula to capture in preschool-age students. It includes receptive and expressive language and it focuses on learning language as a communication-skill rather than as simply labeling and identifying. It also includes social interaction and play skills, which are an are that need explicit instruction in autism. The skills in the assessment are broken down into components of an overall skill without being too picky. It’s a briefer assessment than other ABA assessments, like the ABLLS-R (see Nicole’s review of that today) or the VB-MAPP. Essentially it chunks skills together, making the assessment more streamlined. By including the use of PRT and functional routines in addition to DTT, the STAR makes it possible to assure that skills are being used in a naturalistic way so they will generalize. By including the use of PRT and functional routines in addition to DTT, the STAR makes it possible to assure that skills are being used in a naturalistic way so they will generalize. It focuses on teaching learning readiness skills and pre-academic skills, as well as some language skills, in DTT and it focuses on teaching students how to use those skills for communication and socialization in more naturalistic situations that are more child-led, so the motivation of the child to learn is captured. The chief advantage to me of the STAR is that it links the assessment to the teaching strategy. Within the STAR it tells you, if the student didn’t master receptive language concept number 7, you teach it with discrete trials and it includes the steps of the discrete trial program. This makes is so much easier for teachers (and behavior analysts) to look at the assessment and pull the next teaching program based on the student’s performance. It assures that all the skills being assessed are relevant and will be used in future instruction. This is one I consider a pro for the most part with some caveats that I’ll talk about below. The STAR kits come with the materials needed to run the program. So it comes with a set of picture cards to teach vocabulary and objects to work on some of the basic skills. In the picture you see the objects and pictures that come with set 1. This makes it easy to assure you have pictures and objects that match for teaching object to picture matching, which is so much easier than having to track them down. The only problem is that the set of materials is limited so there are only red cups, bowls, plates etc. so generalization is still going to require you to find other materials to use. The STAR is only designed to be used for children through primary grades so later elementary and middle and high school students would not be appropriate candidates. For that the company has a LINKS program that it recommends and I’ll talk more about that in the future. However, I really wish it went at least through 6th grade to provide some continuity in elementary grades. The format of the discrete trial programs doesn’t work for me. It might be because I’ve used my own system for so long that I have difficulty adapting, but I find it awkward that the steps of the discrete trial programs (they use 2 formats) are in one book and the elements specific to the specific skill you are teaching are in a folder. And the data sheets are on another page. I find this difficult. I solved this problem by transferring all the programs into our discrete trial format with our data sheet so that it matches the STAR. The STAR was originally created to be used 1-1 and because of that it works well to keep one student’s material within the file folder. But it doesn’t always work well with a classroom. As I mentioned above I love that materials are included, but I wish there was more variety to assure generalization. So, I am sure that as soon as I post this, I will think of other things I wanted to add as both positives and negatives. Have you used the STAR as an alternative curriculum? If so or if you decided not to use it, please share your thoughts about it and what works for you and what doesn’t. Thank you for reviewing these curricula. I recently accepted a job as the educational coordinator for an ABA based school and I have been tasked with selecting a new curriculum to use. Your input and reviews are helping me narrow down our choices. Thank you! Perfect Caryn, that and teachers choosing curriculum were exactly who we were thinking about when we started the series! Thanks for reading! I started using the STAR at the end of last year and I really liked it! I like that I can do it on my own without having to consult our BCBA. I am able to do this independently because they include the teaching lessons and easy to use assessments. I don’t like the data tracking sheets. They are too general for me but I can work around that! I have the same issue with the data sheets, but I’ve also learned that everyone has their own type of data sheet that works for them. So glad you got to use it–thanks so much for sharing that! Thank you for your opinions and suggestions – they are always appreciated. As an SLP, many of my students are on the spectrum and your insights are very helpful! I have been using STAR for several years now (about 4-5 years)with students ranging from preschool to 5th grade. I think the program is wonderful but I always struggle to incorporate ALL of the components in my classroom. The other thing I found difficult is using the same materials with every child. Because my kiddos are always on different levels, I have created a bin for each child and bought or created materials similar to those used in the program for each student along with his/her data sheets. This saves a lot of time when sitting down to work with the student. Thanks Mercedes, I have found some of those same things. In our preschool, we actually printed off the steps for the PRT programs and the functional routines that were being used in the classroom and laminated them. Then we used a dry erase or wet erase marker to mark the initials of kids who were using them. We also built those skills into our group data sheets….like the one you can find here: https://www.autismclassroomresources.com/freebie-and-considerations-in-data/ to take the data on them. I completely agree and we created STAR kits for each of our classrooms with that in mind as well. Any suggestions of curriculum for a variety of intellectually disabled students, no just those with autism? Moderate to severe. 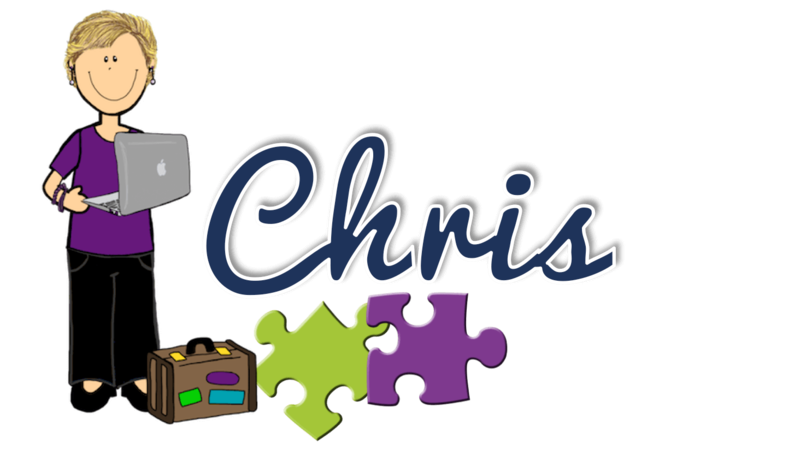 I teach a wide range of kids, from students with autism to Down syndrome, to other disatblies. I’m struggling to find a good math or language program. Thank you! Any of the curricula I talk about in this series work well for students with ID as well. Language for Learning is a great direct instruction program for Language and leads to Reading Mastery. Failure Free Reading is a computer reading curriculum that is scientifically based. The PCI Reading Curriculum is awesome of all types of special education. Touch Math is great for math…there aren’t many options for math. Hope that helps.